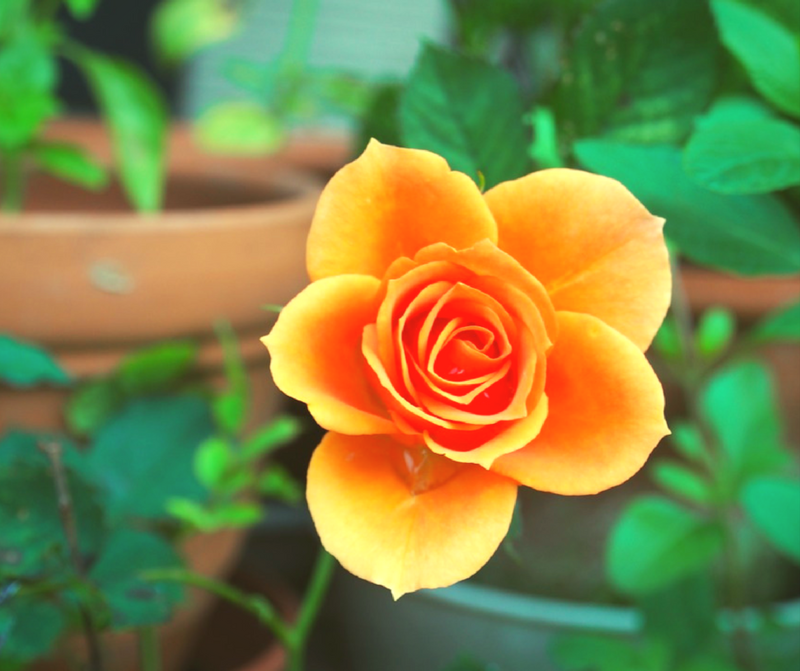 So, you have decided to plant rose bushes in your yard or on your patio, porch or balcony. Now all you have to do is go out and buy some bushes and plant them. Right? Wrong!! 1. Where are you planning on planting? 2. Are you going to plant in the ground or in containers? 3. Do you want roses that are scented or unscented? 4. Do you want bushes, trees, climbers, vining or do you want them to grow into a hedge? 5. Do you want large, medium, small or miniature blooms? 6. Do you want roses for cutting? 7. What colors go best with your garden, patio, porch or balcony? Hybrid teas bloom frequently, are hardy, come in a wide range of colors, are well scented and are good for cutting for vases. The size of the blooms and the length of the stem depends on how they are pruned. They make the best long stem roses for cutting. Hybrid perpetuals are seldom planted today as they have a limited color range and normally bloom less frequently. They are, however, quite hardy and have large well scented blooms. The “American Beauty” rose is from this category. Grandifloras are a cross between hybrid teas and floribundas. The flowers are the same size and shape as hybrid teas, however they usually have an abundance of blooms on each stem. These roses are very popular for growing in containers. Floribundas have slightly smaller flowers but are hardier, have a longer growing season in cold climates and yeild large numbers of flowers. Polyanthas are small averaging just 18 inches in height. They are very hardy and produce large clusters of small flowers. Miniatures average between 6 and 12 inches in height, carry small one inch or less blooms, are hardy and require little care. These make very good balcony container roses. Floribundas and Polyanthas can sometimes become climbers and have the same characteristics as the bushes. Tree Roses can be developed from any type of rose. They are made by grafting a bush onto a long thick trunk. These look great on a patio or porch. Shrub Roses are normally small, hardy fairly continuously blooming bushes that can be used as hedge (hedges can grow to 5 or 6 feet and provide inexpensive privacy and color), thicket and trellis (trellis roses can add a beautiful accent to a yard or home entryway and can be made into an arch) roses. There are even varieties that can be used as ground cover on embankments or planted in hanging pots. Today roses come in hundreds of varieties with new varieties being developed every year and in an almost limitless number of colors and color variations. It has been my experience, however, that usually the darker the color the heavier the scent. Most white roses seem to have no scent at all. If you choose the right roses for the right place you can add beauty and elegance to any garden, patio, porch or balcony without spending large amounts of money or time.